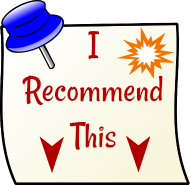 Ornamental Rhubarb Plants for Landscaping? Ornamental varieties of Rhubarb with their striking leaves and flowers, are available to gardeners to beautify their landscape. You can, of course, use regular, edible rhubarb (and harvest it when it is ready!) to compliment your existing garden plants, or you can plant ornamental rhubarb. 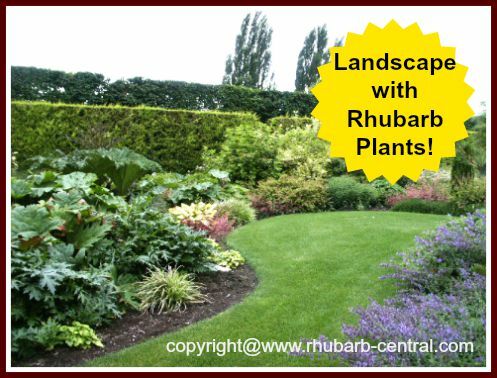 Here follow some of varieties that are available for those interested in growing rhubarb to beautify their landscape. 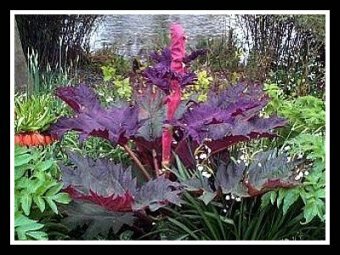 An ornamental rhubarb plant will make a great, vertical accent, and dramatic focal point in a suitable garden. 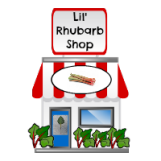 Not all garden centers sell these types of rhubarb, so you may need to contact several on line, and see what they have available, and what areas of the country they ship their plants to. 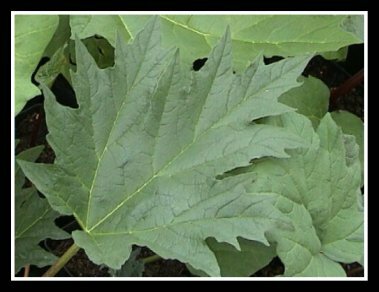 All rhubarb plants, ornamentals included, are perennial plants, meaning they come up "on their own" each spring. These plants will require occasional maintenance, and should be cut back in late fall in preparation for winter. 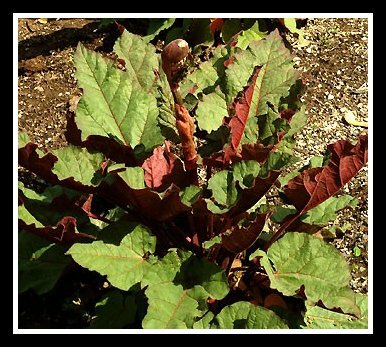 Wild Rhubarb, or Common burdock, which confuses many gardeners because of its appearance being similar to that of rhubarb, is a weed and does not belong to the same "plant family" as rhubarb. Take a look at the size of those leaves (above image) ! This variety of rhubarb is a great choice for screening (a privacy plant). The leaves are huge, and the plant is a fast growing variety. This plant requires a lot of moisture, and makes a perfect waterside plant. Grows best in full sun. The photo above, is courtesy of Lilly Smuul, who took it in Kenmare, Ireland. Lilly has advised me that her experience is, that, if you touch this type of plant you may get a rash of small red spots, lasting for 2 - 3 days. Thanks Lilly! This variety of species palmatum has large, toothed leaves with green tops and very intense rosy-purple reverses. It produces new, freshly coloured leaves until late summer. The flowers are tall spires of tiny white/creamy coloured flowers that bloom in early summer. This type of rhubarb prefers soil that is rich in compost and retains moisture, but that is well drained. Grows best in sun or part shade. This variety is similar to the variety above, except it is the 'Red Selection'. This variety is a very interesting plant to look at. It has an almost prehistoric-look to it with colossal, divided leaves. The leaves begin reddish bronze, and as they mature through the season they become dark green with purple undersides. Then, in the fall they turn quite red. Maroon panicles are produced atop the towering flower stems. Blooms June to July. This type of rhubarb prefers soil that is rich in compost and retains moisture, but that is well drained. Grows best in sun or part shade. This variety of rhubarb grown for ornamental purposes has large, bold shaped foliage which comes out entirely reddish in the spring. The tops of the leaves eventually fade to green, but the reverses remain boldly dark red. Pale pink flower stalks grow upright from the plant. Blooms in summer. This plant prefers soil that is rich in compost and retains moisture, but is well-drained. 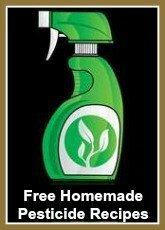 Grows best in sun or part shade. 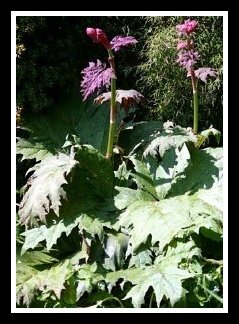 This ornamental rhubarb plant is medium in size and, unlike other ornamental varieties of rhubarb it reaches a height of about 1 metre. 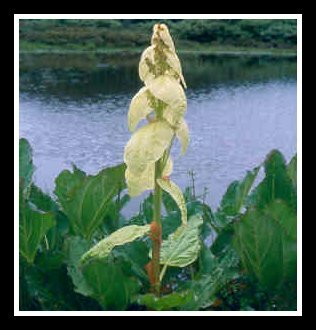 It grows an amazing tower clothed in overlapping hand-sized creamy/yellow bracts that veil its insignificant flowers and seeds (see picture). The leaves are white-veined and lance shaped. 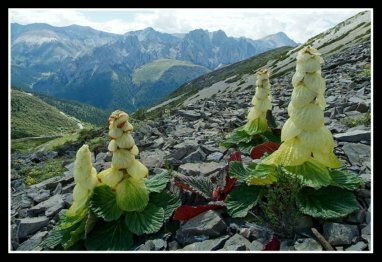 This plant is found in the lush marshy meadows and stream sides in Tibet and western China. This plant blooms May to July. Grows best in a sunny location, but in a cool, damp location. Why not consider ornamental rhubarb for your garden. 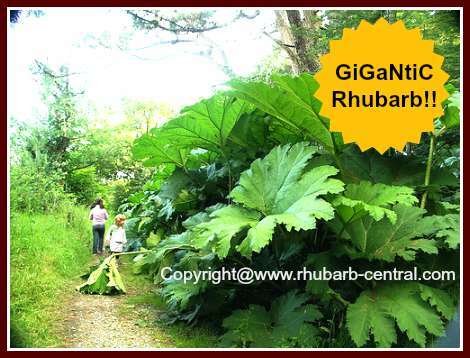 It surely is an eye-catcher, especially the giant rhubarb!